Many tribal vulnerability assessments use a combined approach, also called a braided approach, that integrates Western science and approaches to estimating vulnerability with indigenous approaches rooted strongly in indigenous culture and ways of knowing. Below are links to guidebooks that provide a framework for assessing climate risks using a braided approach and specific examples of tribal climate assessments that took a braided approach. Traditional knowledge can be used to inform how locations will be affected by climate change. Traditional knowledge can serve the basis for assessing climate change vulnerability through regionally-specific observations, knowledge, and interpretations. This guidance aims to communicate both the benefits and risks associated with sharing traditional knowledges in federal and other non-tribal climate change efforts. The guidance also aims to highlights principles of engagement as well a processes and protocols that can be used to ensure the appropriate sharing and protection of traditional knowledges. These guidelines were developed by the Climate and Traditional Knowledges Workgroup (CTKW) that includes indigenous persons, staff of indigenous governments and organizations, and experts with experience working with issues concerning traditional knowledges. In this 20 minute video, elders, scientists, and cultural leaders discuss the effects of climate change on the earth, culture, and peoples. 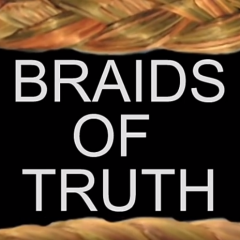 They speak to the differences between western science and traditional ecological principles. 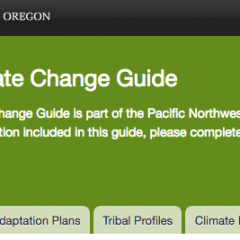 The Tribal Climate Change Guide includes diverse examples of tribal assessments. 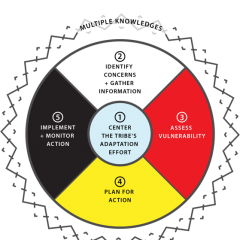 The Tribal Climate Change Guide is part of the Pacific Northwest Tribal Climate Project, and offers a broad suite of resources for tribal vulnerability assessment and adaptation planning. One of these resources is a database of existing tribal adaptation plans demonstrating diverse approaches to tribal vulnerability assessment and adaptation planning. The Swinomish Tribe's Impact Assessment was managed by the Swinomish Office of Planning and Community Development. This technical report, one of three documents created as part of the Tribe's adaptation efforts, addresses the projected local impacts of climate change and highlights possible vulnerabilities to the Tribe's natural resources, infrastructure, human health, and cultural sites. The University of Washington Climate Impact's Group was a key project partner and served as primary scientific advisor. This assessment also involved local government and community representatives, as many of the climate change impacts identified in this assessment cross jurisdictional boundaries. 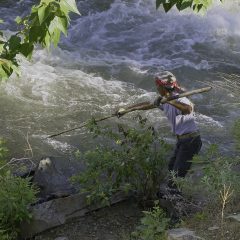 Confederated Salish & Kootenai Tribes use traditional knowledge in climate change strategic plan. 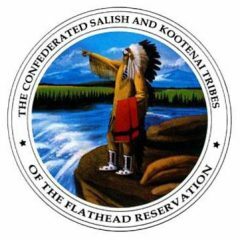 The Confederated Salish and Kootenai Tribes Climate Change Strategic Plan “sets forth the foundation for developing effective, culturally-sensitive climate change adaptation and mitigation strategies needed to ensure healthy social, environmental, and build environments on the Flathead Reservation.” The climate change planning effort was authorized by a tribal resolution and directly supports the tribes mission. The process was guided by local assessment and interviews with elders whose observations of climate change extend back several generations. 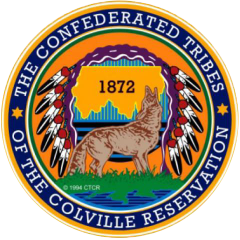 Confederated Colville Tribes use traditional knowledge in climate change vulnerability assessment. To help prepare for and mitigate these impacts, the Confederated Tribes of the Colville Reservation worked with the University of Washington Climate Impacts Group to assess the vulnerability of key species for the Tribes. This assessment integrated both Western science and the indigenous knowledge of Tribal elders.